Having your car break down is at best inconvenient, but at worst can be very dangerous. We have therefore created this section to help you keep your car in road worthy condition and reduce the chances of vehicle malfunction. It is important to check the oil level in your vehicle engine on a regular basis. In order to get an accurate reading, the oil must be warm, and the vehicle must be parked on level ground. With the engine off, but warm, allow several minutes for the oil to drain back into the sump. Locate the dipstick (typically colored and/or marked “OIL”). Pull it out, and wipe it off with a paper towel or cloth. Push it back in all the way then remove it again, keeping the tip down and inspect the level. The oil level should be near the Max or Full marker. If it closer to the Min marker than the Max (below half way) you need to add more oil. 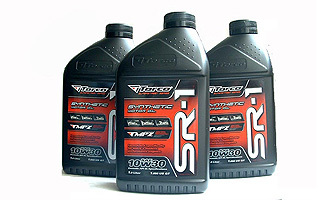 When adding oil make sure it is the correct oil for your engine type. If you are unsure what oil your vehicle requires, check you cars owners manual. Low oil levels can only mean two things: The engine is burning oil or it is leaking oil. In either case, it's a good idea to have the car inspected by a mechanic. Do not add too much oil! If there is too much oil in the engine, damage can occur.